Beyonce and Jay Z have vacationed in some of the world's most beautiful tropical getaways from the Dominican Republic all the way to St. Tropez. Since 2012, the couple has soaked up the sun on 14 different seaside vacations, according to E! News! Clearly, Beyonce and Jay Z prefer to get their rest and relaxation by way of warm weather, and always make sure to bring along Blue Ivy wherever they go! Over the last two years, the family has been seen taking dips in the ocean in St. Barths, tanning on a yacht in Anguilla, and snapping selfies in the Italian Riviera. This past weekend, the power couple jetted off to Indio, California, where Queen Bey surprised sister Solange on stage at Coachella and performed a rendition of "Losing You" in front of thousands of fans. We may not be able to afford the private yachts and exotic vacations like they do, but that doesn't mean we don't enjoy keeping up with Beyonce and Jay Z. 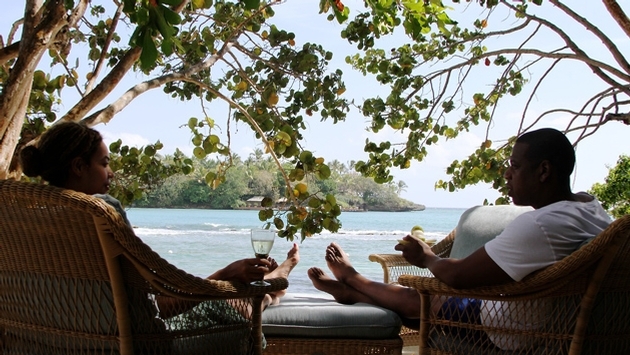 Are you envious of Beyonce and Jay Z's 14 vacations?